Pochettino: Meeting With Zidane And Beckham "A Coincidence"
Tottenham manager Mauricio Pochettino denies Real Madrid links after "coincidence" meeting with Zinedine Zidane and David Beckham. 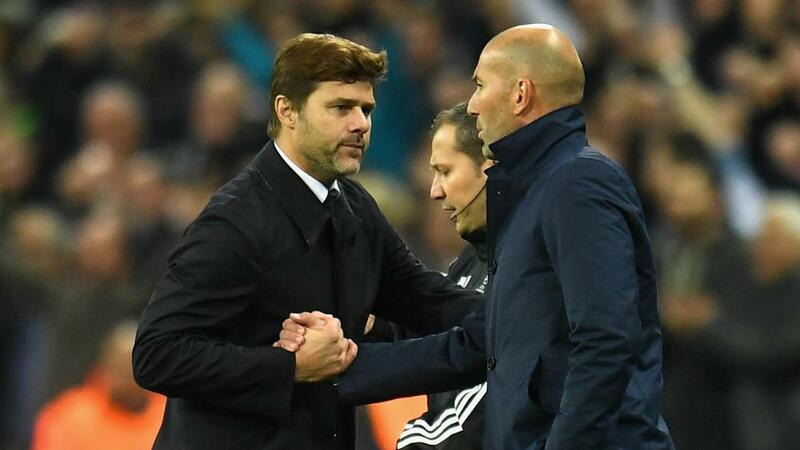 Mauricio Pochettino has dismissed an encounter with former Real Madrid stars Zinedine Zidane and David Beckham as nothing more than pure coincidence. The Tottenham manager was this week pictured dining at the same London restaurant as Zidane and Beckham, who were team-mates in Spain between 2003 and 2006. Pochettino has reportedly been a target for Madrid at various stages since Zidane's surprise decision to step down as head coach at the end of last season. The France legend has remained out of work despite links with Manchester United, the club where Beckham made his name. Pochettino acknowledged bumping into the pair but denied it was anything more than a chance meeting. "I was with [Tottenham assistant coach] Jesus [Perez] and another person. We were three," the Spurs boss said. "We met by coincidence [with Beckham and Zidane] and that is all the history. "We only said hello because we met by coincidence, but then the story appeared and how do you stop it? "It was Jesus who told me look in the corner and I turned and it was these two people [Beckham and Zidane]. "We nearly finished at the same time. He came to say hello and we spent two minutes talking and then we split." Pochettino has led Tottenham to within five points of top spot in the Premier League with 13 matches remaining this term.